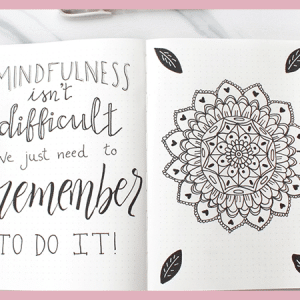 Learn the tips I’ve used to grow my bullet journal Instagram account to over 21k followers. And no, you don’t have to be an artist to have thousands of followers. I have debated writing this post for quite a while now. Mostly because it seems shallow. But, the truth is that most people (at least most millennials) are absolutely infatuated with Instagram. And a large number of people dream of “Insta Fame”. So how do you grow a large following on Instagram? There is no guarantee of success. 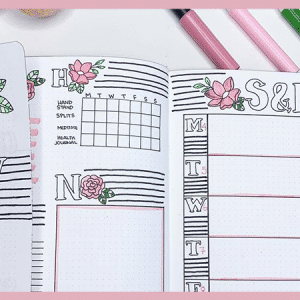 I started my Instagram just before the explosive growth of bullet journal Instagram accounts, which was beneficial in that there was less competition. I also have a blog attached to my account which brings in followers directly from my website. But, none of these things should hold you back if you want to create a successful and viral Instagram account. 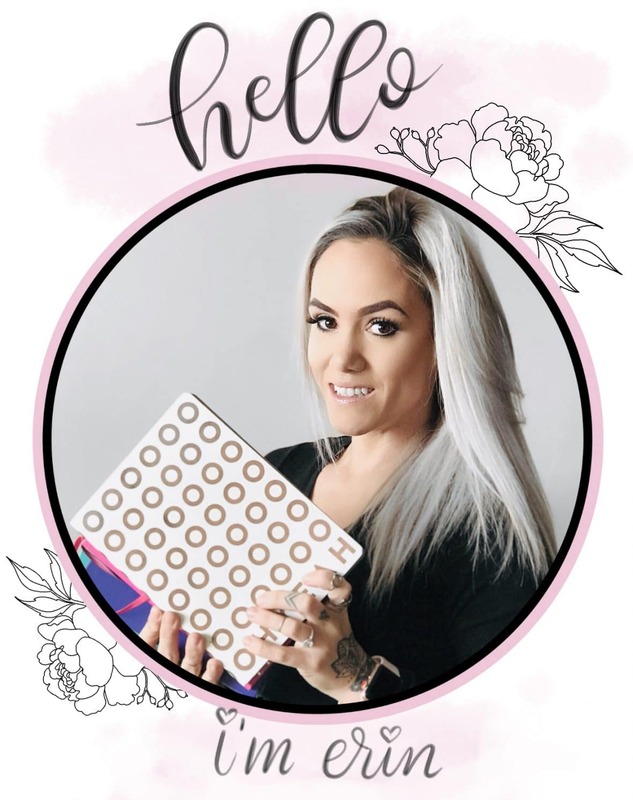 I’m going to share the tips I’ve used to grow my Instagram following, meet other fabulous bullet journalists, and become a member of the bullet journal community on Instagram. This tip goes at the top because it often gets overlooked by people who aren’t photography savvy. Indoor lighting has a yellow hue, that can make any picture unappealing. Always try to take your photos next to a window with lots of natural light. This means you have to schedule your photo taking during the day. If this isn’t possible for you due to work, you can invest in a photography light like the Neewer Ring Light (this is the one on my wishlist I now use). It produces a natural, soft light source and that is diffused by the circular shape of the light. 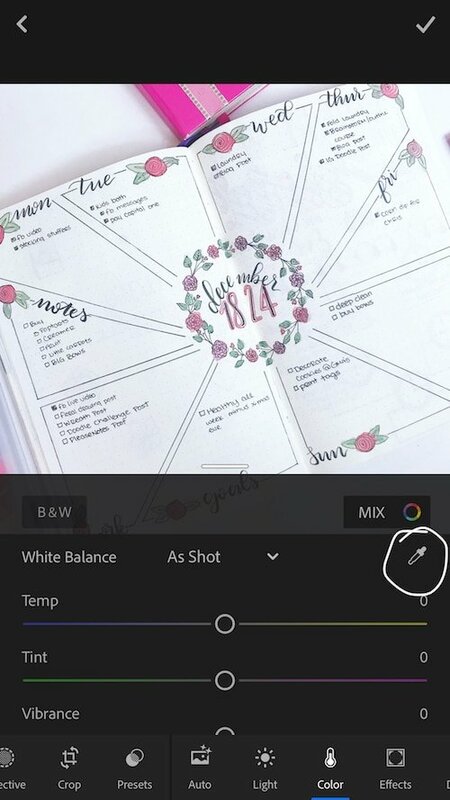 If you ever intend to extend your bullet journal Instagram into a YouTube channel, this is a great investment. 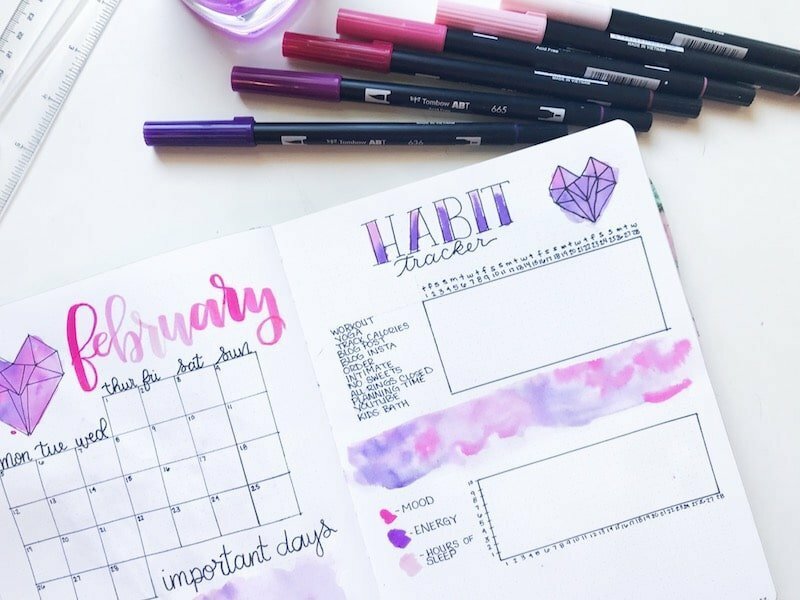 Looking at the other high-profile bullet journal Instagram accounts, you may notice that most of them have a consistent background. All of my photos are taken on a white background, which happens to be a cheap piece of poster board. No shame in my game. Others use marble background, wood backgrounds, or shaggy white blanket background. If you don’t have a nice tabletop or wood floors, you can purchase a fairly inexpensive background on Amazon. Check out this marble one, or this wood one. Most are made of vinyl and can be rolled up and stored easily. Or, you could go really cheap, like me, and just get some plain black or white poster board as your background. With these, you do have to replace them every so often as they get dirty and bent. While there isn’t a right way to do this, there is definitely a wrong way to do it. If you want a professional looking feed, you should avoid taking photos from your couch at an angle where your followers can see your TV or children running around in the background. Instead, take your pictures from directly overhead. From the overhead position, you can angle your camera slightly or get closer to a specific page for variety. I personally like to do a mixture of one and two page overhead photos. And every once in a while, I angle my camera slightly, but not enough to see anything other than my notebook and the white background. This keeps your photos clean and consistent. Sure, Instagram has a slew of filters and a few editing tools. But, to create the most visually appealing photo for your feed, you will likely need to edit your photos slightly. And you don’t need a degree in photography or any extensive knowledge in editing to do this. I use Adobe Lightroom CC for all of my Instagram editing. First, take your photo in natural lighting. Then, open the app. In the lower righthand corner click on the small blue icon that looks like a photo with a plus sign. This will open up your camera roll. Then select the photo you just took. This will import it into Lightroom. Now, notice the grey bar along the bottom of the screen with all of the different editing tools. The first one you should click on is the color icon. Once it opens up the options, find the little eyedropper and click on it. This is your white balance. 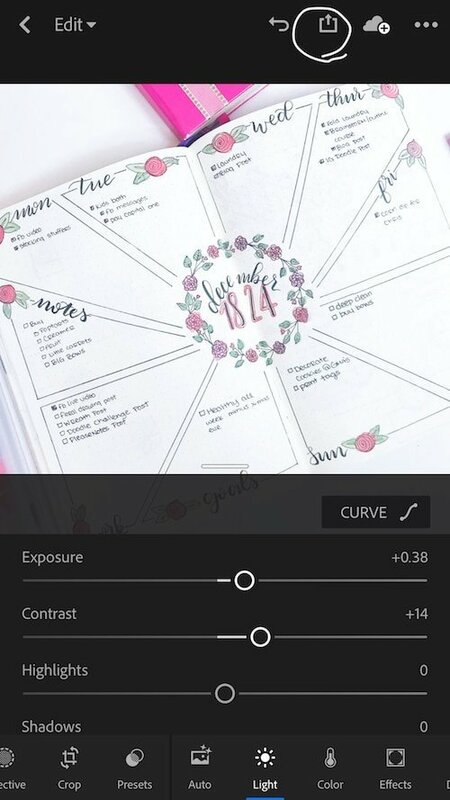 Drag the circle over a part of your image that should be white. This could be your background or a page in your journal. The image will change color slightly as you move the circle. 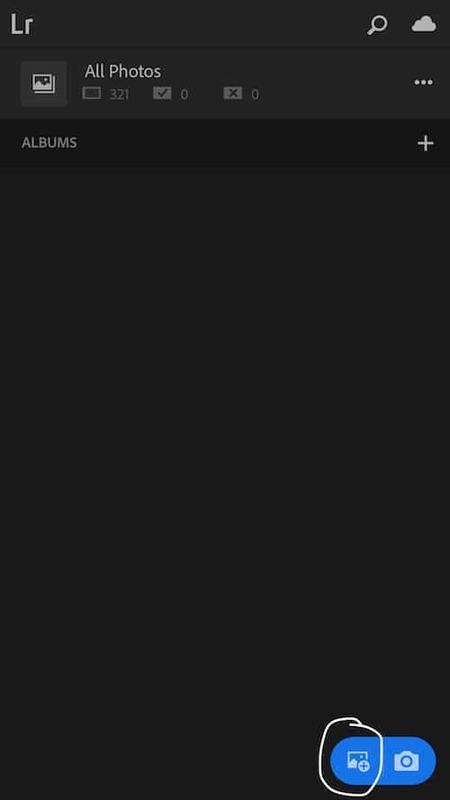 Once you are happy with the white balance, click the checkmark. Now the photo is in your photo library and ready to be uploaded to Instagram. To get found on Instagram, you have to use Hashtags. However, there are a couple tricks you’ll want to know before you start using them. First, you have to decide on placement. Some people place them within their caption and others choose to add them to a comment on their photo. This is completely up to you. You can only use 30 hashtags per photo. I don’t recommend using all 30. Instagram has been known to Shadowban people for spamming hashtags, so choose 10-20 that are most relevant. There are a lot of ways to go about this. I recommend searching the hashtags above and following accounts you like. From there, be active. Comment and like peoples’ photos. You can also screenshot photos you like, add them to your story and shoutout the account that the image belongs to. These are all great for showing your support and becoming a part of the community. Keep in mind that people want to follow other real people. They want to know they matter and that you aren’t just on the hunt for followers. Don’t send big accounts a DM asking them to follow you or share your work. In some cases, when the account is a share account, you can send them one of your photos and hope you get featured. However, this isn’t always easy as there is a lot of competition. And begging won’t get you anywhere. Instead, be yourself, continue to post images of your work, and be humble. The followers will come. But it won’t happen overnight. 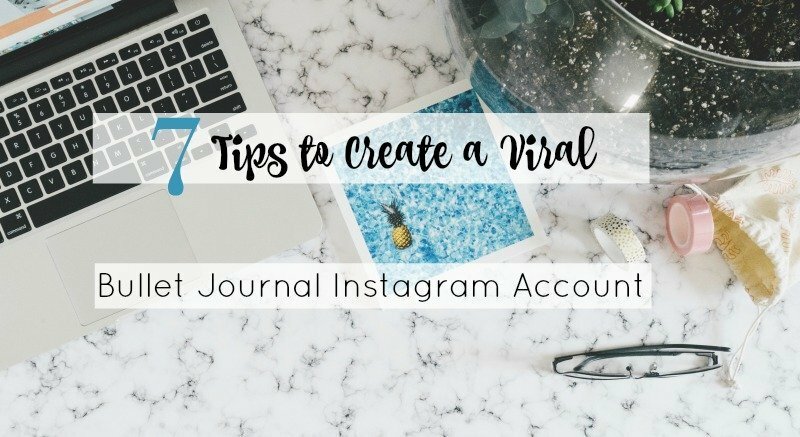 This is not at all a requirement to have a successful bullet journal Instagram account. 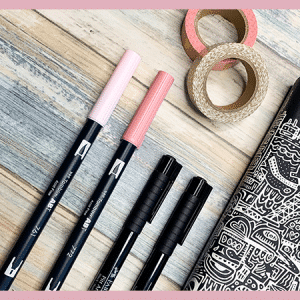 But, if you are feeling less than confident in your doodling skills, lettering skills, or layout design, taking an online course could help you out. I recently released my e-course, Rock Your Journal. It has 10 Lessons, each broke down into multiple, easy to follow video tutorials. It also has an accompanying 29-page workbook with lettering and doodling practice sheets and prompts. Over 270 people have already signed up and started this course. And the reviews are stellar. It was easy to see her drawing as she went along where that has not been the case with other videos I’ve watched. Erin is a great instructor on creative techniques. She’s respoinsive, explains techniques easily, shows support for the participants and is overall a kind, creative soul. Very friendly, felt you were talking directly to me. Again, this isn’t a requirement. But there’s no doubt that the accounts that get followed most often show skill in lettering, doodling, or design. 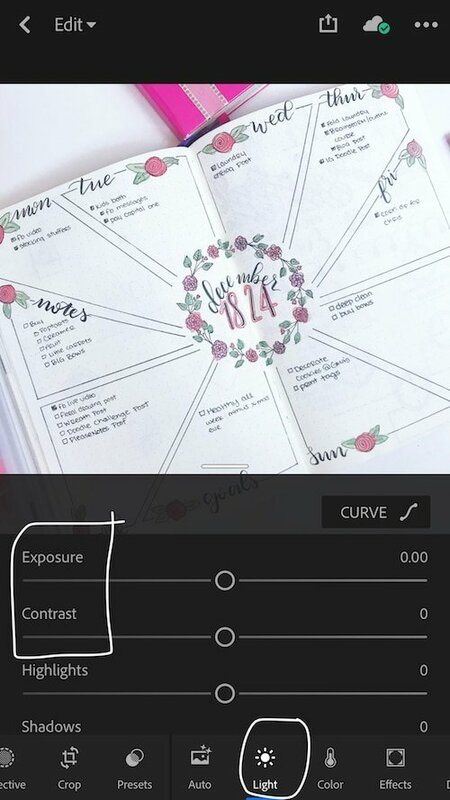 Even if it’s not for the purpose of Instagram, this course can really jumpstart your creative journey and help you feel confident in every page of your journal. Plus, I would love to have you on board and get to know you in our Private Facebook Group. If this is something you are interested in, head to this page. From here you can read through the lessons, get a preview of a couple lessons, and decide if this course is right for you. If you choose to enroll, be sure to use the coupon code: INVEST5 at checkout to get $5 off. 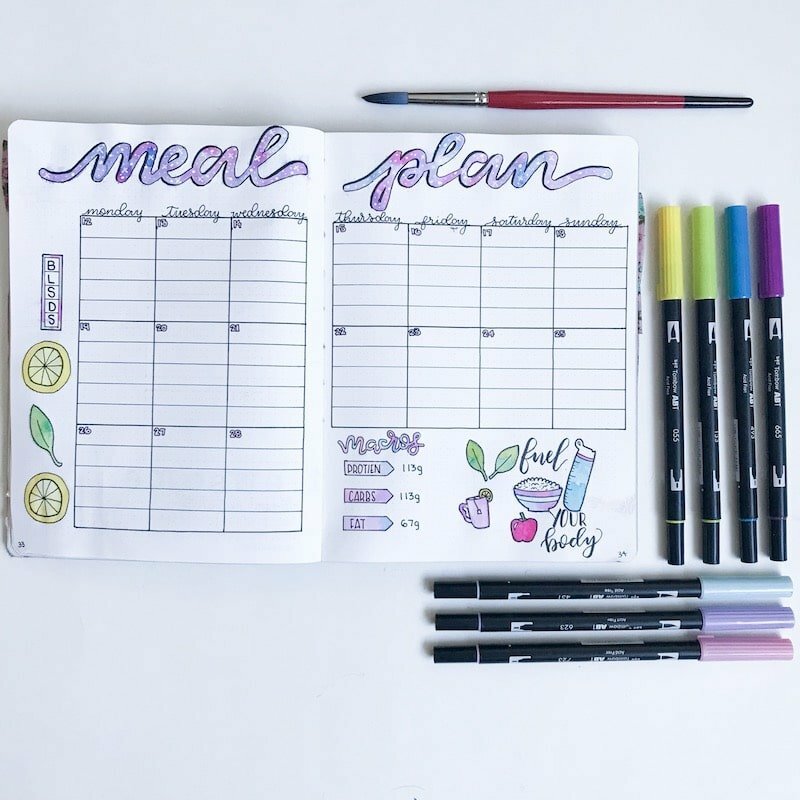 As a booster, drop your bullet journal Instagram account handle below in the comments. Be sure to follow others who have done the same. Everyone benefits when we work together. Let me know what you want to see next on The Petite Planner.